InsuringIndia aims to operate a triple bottom line – people, planet, profit. We believe that organizations make more long term profits by operating with a responsible perspective. We also view corporate social responsibility as a value creation tool where our purpose is to make a fundamental positive impact on our community. Our goal is to embrace responsibility for InsuringIndia’s actions and encourage a positive impact through our activities on the environment, consumers, employees, communities, stakeholders and all other members of the public sphere. Furthermore, we want to proactively promote the public interest by encouraging community growth and development. Various steps are taken and reviewed monthly by InsuringIndia management to watch for trends in consumption of electricity, paper, and water. Energy conservation initiatives included participating in Earth Hour, changing desktop configurations and extensive internal education exercises. 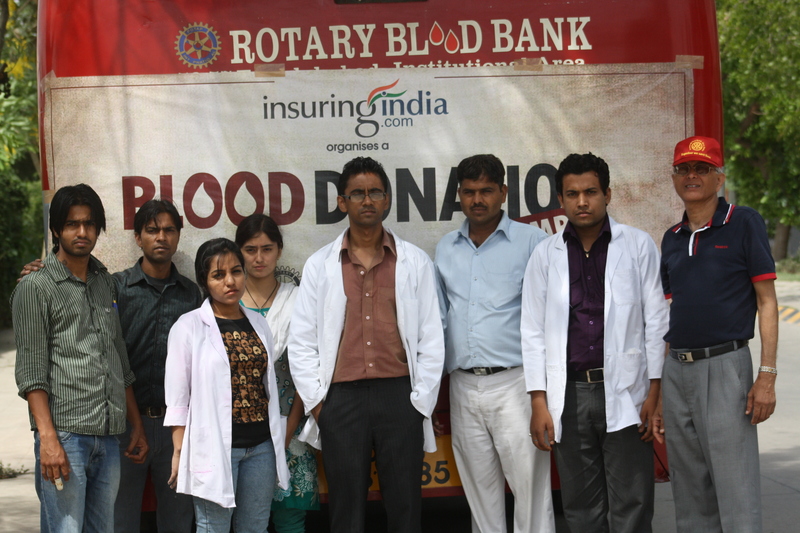 Blood donation camps are organized by Insuringindia in association with the Indian Red Cross Society. It’s not just our staff who donate blood, but we also encourage and call upon other corporates, partners and vendors to join hands. Oyster Connect is a network of active Industry professionals on www.linkedin.com who engage with Educational Institutions with a passion to empower students to achieve their career goals. InsuringIndia.com supports wildlife conservation activities through the Wildlife Trust of India, which is a national conservation organization committed to effective action for the protection of India’s natural heritage. Their principal objectives include managing or preventing wildlife crises and mitigating threats to individual wild animals, their populations and habitats through holistic strategies and practical interventions. Visit to support wildlife conservation..
InsuringIndia supports The Himalayan Farm Project, which is an exciting initiative to renew the age old practice of organic and sustainable living in the Himalayan region. 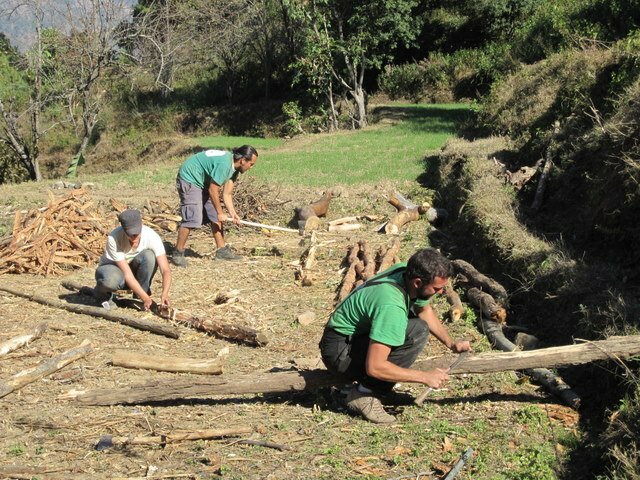 The Himalayan Farm Project is an experiment to demonstrate a sustainable life in practice. It is an attempt to learn how to recycle and harness natural, sustainable resources, live a simple off grid life and how to reduce our carbon footprint. The ideal way to commemorate our corporate social responsibility, Insuringindia conducted a Blood Donation camp and creating awareness of the importance of blood donation. The employees at Insuringindia brought out colorful posters highlighting the importance of blood donation with catchy slogans which motivated the others to come forward and donate blood. We are thankful to the Rotary Blood Bank for agreeing to come forward and collect the blood. The doctors and the staff of the blood bank extended their fullest cooperation to make the camp a success. The combined efforts of all concerned resulted in the collection of 41 units of blood. The donor’s contribution was appreciated and acknowledged by the Rotary Blood Bank by distributing mugs to them. We hope this camp will motivate and inspire more organizations to participate in social projects in the future.